Category Archives for "Luxury Market"
Selling luxury homes can be challenging and often presents a range of unique challenges due to the various types of people and negotiations, which in turn can ultimately determine the success or failure of a real estate agent. Below is a list of 8 challenges that real estate agents commonly face when operating within in the luxury home market and is accompanied with recommendations on how to overcome them. Puerto Rico is known for its beautiful beaches, exotic hideaways, and breathtaking mountain views. It’s just one reason why it’s such a popular getaway – even for celebrities. 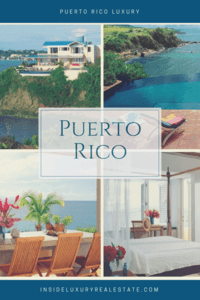 There are plenty of stunning luxury Puerto Rico homes available for you to purchase, or you can even build your own dream home on this popular island. If you’re in the market for a Luxury Penthouse in Miami, then you might be in luck for a one of kind opportunity. The Penthouse at Regalia on Sunny Ilse Beach is now for sale for only $39 Million (making it the 2nd most expensive real estate in Miami-Dad). This 17,000 SQFT Penthouse (if you include the 6,000 sqft of terrace) overlooks the Atlantic Ocean, Golden Beach, Intracoastal Waterway and the skylines of Miami and Miami Beach and comes with a unique closing gift – a pink diamond (valued at $500K). 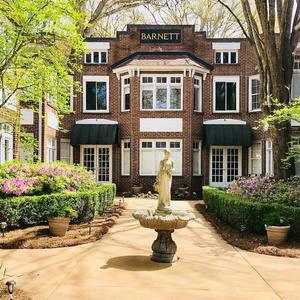 Atlanta Luxury Condos are becoming more popular and this one at 1065 Midtown is no exception. Daniel Corp. developed 1065 Midtown, including the Loews Hotel and 52 residences, as part of its 12th & Midtown project. It later sold the 1065 Midtown units to TriBridge Residential. Rents have been averaging from about $2,500 to just under $7,000. The first conversions of the 1065 Midtown condos will come as tenants’ leases begin to expire.